Y’all, I have had this printable on my to-do list for YEARS! 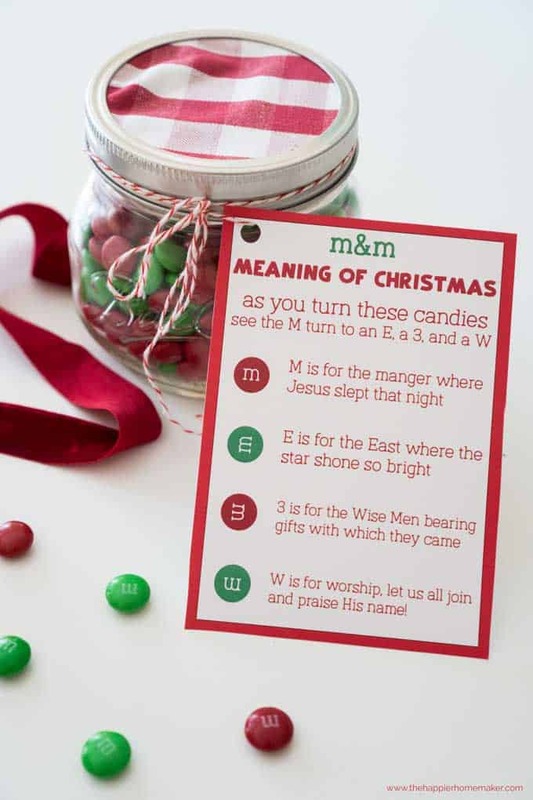 I can’t even remember the first time I saw the classic M&M Christmas poem but it was long before I had a blog and I remember loving it so much I copied down the words in my planner. 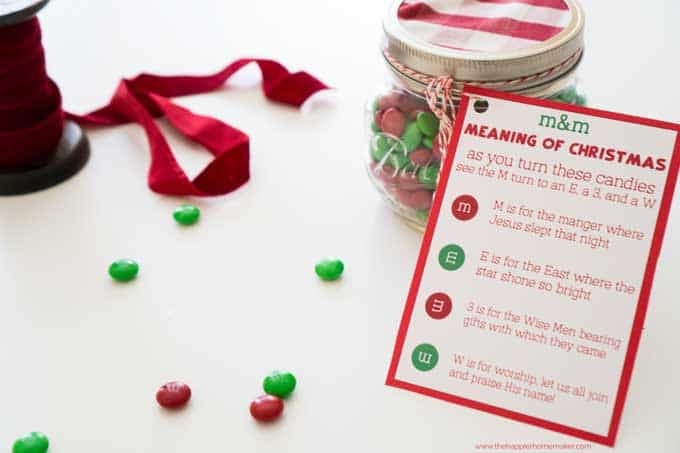 Now, so many years later I finally got around to creating my own printable M&M Christmas poem and I’m just tickled with the way it turned out. 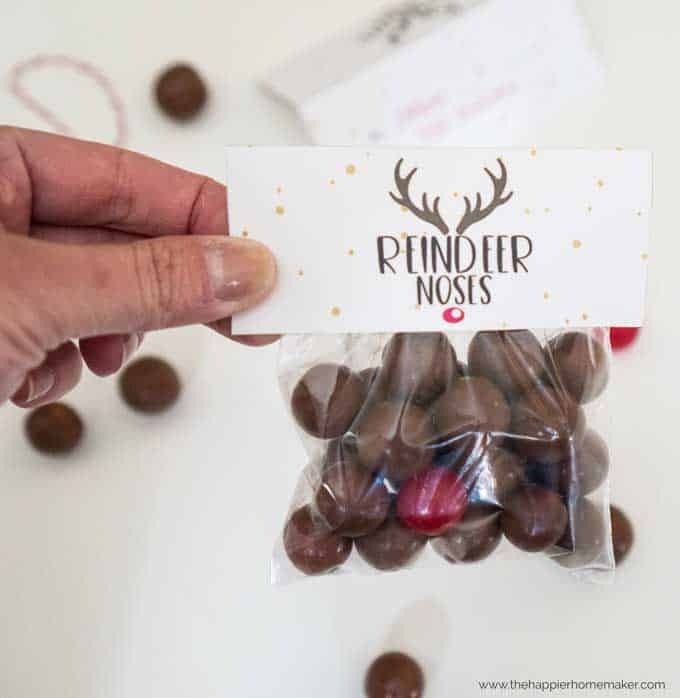 I love this printable because it makes such an easy Christmas gift that also keeps the true meaning of Christmas and our celebration of Jesus’s birth in mind. 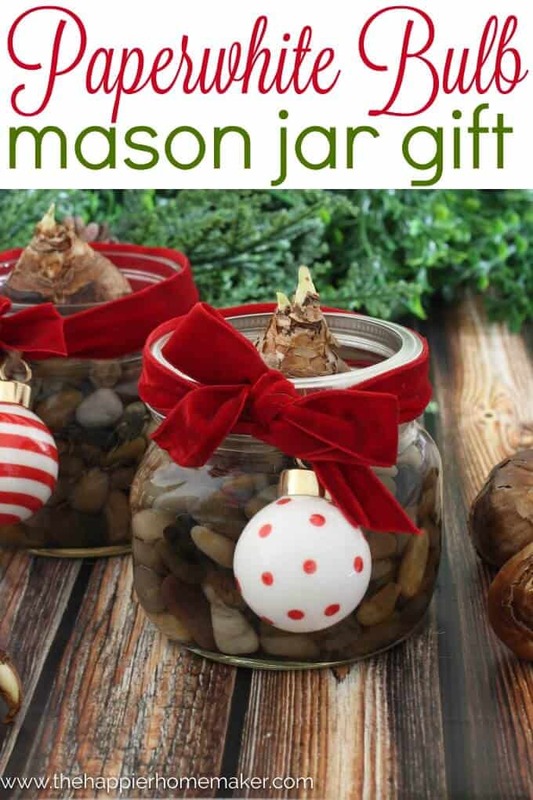 My boys will be giving these out as neighbor gifts this year and we’ll drop them off as hostess gifts for the parties we’re attending. 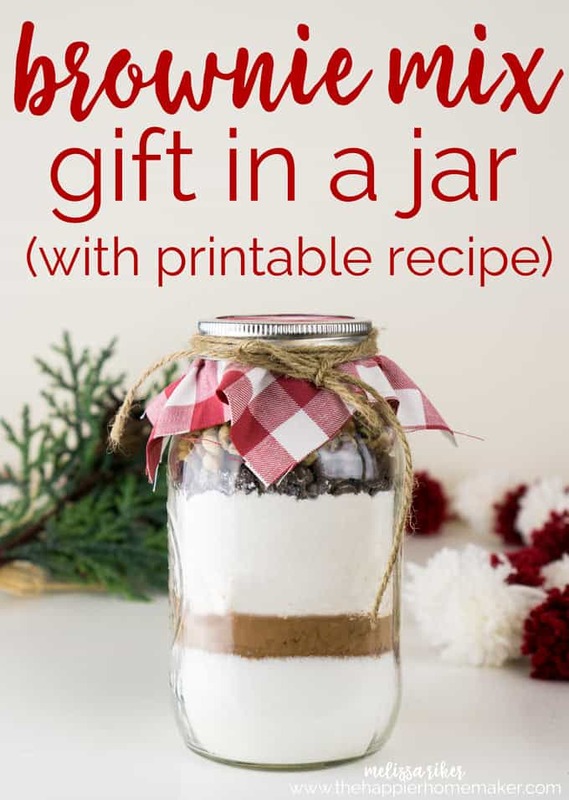 A pint-sized mason jar will perfectly fit an 11oz bag of M&Ms then simply tie a printable poem to the jar for a gift that’s done in under a minute!